The facade of the building is fully finished with tinted glass. 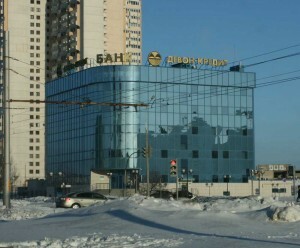 The building of the Bank Devon-Kredit Naberezhnye Chelny branch. 423823, Republic of Tatarstan, Naberezhnye Chelny, Prospect. Suyumbike, 26. Phone : 8 (800) 200-92-22. 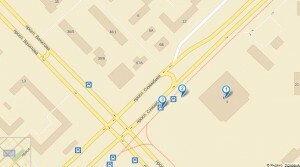 Monday – Friday 07:45-17:00; Saturday 09:00-13:00. The building of the Bank «Devon-Credit» Naberezhnye Chelny branch. 423823, Republic of Tatarstan, Naberezhnye Chelny, prospect Suyumbike, 26 on the map.